When you arrive for the first time in a country, the first thing you notice is the airport, then the roads or subway on the way to your hotel. It goes well beyond making an impression on visitors — it is the very foundation and backbone of a modern economy. Infrastructure is also a very capital-intensive big business presenting a great opportunity for savvy investors. Infrastructure includes big stuff such as roads, oil and gas projects, cable networks, radio masts and satellites, bridges & tunnels, pipelines, airports & seaports, power plants, railways, subways, and water supply and treatment facilities. In America, the great need for infrastructure upgrades is clear. At our current pace it’ll take 80 years to repair all the structurally deficient bridges in the US, a report finds. The non-partisan Building America’s Future reports that one-third of America’s roads are in subpar condition and that 45% of major urban highways are congested. It has been a long time since the completion of the Interstate Highway System, which was launched in 1955. Imagine, 41,000 miles of highways, 55,000 tunnels and bridges, and 16,000 exits. One could go from Seattle to Boston with one traffic light. But instead of launching a massive infrastructure program, the current Administration went with a massive tax cut — so that each state will need to foot the bill with ‘some’ help from the federal government. The Global Infrastructure Hub (GIH) reports $97 trillion of investment in infrastructure are required just to keep the world economy moving ahead. And a substantial part of this infrastructure is needed in emerging markets due to higher economic growth and urbanization. As people have moved from rural areas to cities, the pressures on infrastructure have greatly intensified. In 1980, 39% of the world’s population lived in cities; now, more than half live in major cities, and this figure is expected to rise to 67% by 2050, according to a United Nations forecast. Amazingly, China has over 140 cities with a population exceeding 1 million and every week, one million people are either born in or migrate to cities around the world. And Asia is already home to seven of the world’s ten largest megacities. This means that unless these countries build more airports, roads, subways, power plants, railways, seaports, and pipelines, they will literally choke on their growth. Morgan Stanley predicts that $22 trillion will be spent on these projects over the next decade. This also includes communications infrastructure like mobile telecommunications and cable providers. First proposed by President Xi Jinping in 2013, China’s $900 billion Silk Road Initiative is a strategy to develop and construct a vast network of railroads and shipping lanes between China and 65 countries in Asia, North Africa, the Middle East and Europe. The growing need for infrastructure combined with the steady investment returns it delivers has made it a favorite destination of sovereign wealth fund capital. Sovereign wealth funds, with $7 trillion of assets, are putting roughly 25% of their investments in infrastructure projects at home and abroad. Because these huge projects are usually partnerships with host governments and often times come with sovereign guarantees, these giant funds perceive that emerging country political and legal risks are significantly lower. Infrastructure spending is also a favorite way to boost growth and generate jobs. There are several strategies you can use to capture the growth and profits of global infrastructure. One is to actually own and operate infrastructure around the world and Brookfield Global Infrastructure (NYSE: BIP) is a leader in this space. Brookfield Infrastructure has many of the benefits of a utility but with a higher growth rate and steady cash flows that come in handy during a recession. Furthermore, about 75% of its cash flows are inflation-indexed and only 5% are subject to commodity price risk. One other advantage with Brookfield is its diversification by type of infrastructure and geography. About 25% of its revenue comes from North America, 25% comes from Europe, 30% from South America, and 20% from Asia, Australia, and New Zealand. Additionally, its 35 assets include railroads, electricity and natural gas utilities, timberlands, toll roads, ports, and pipelines. Next, an often-overlooked part of the infrastructure business is the engineering and project management that goes into developing and building structures. It often takes years and a lot of capital simply to get to the point of breaking ground on a project, and it takes a lot of experts and experience to get something built and running smoothly. In my experience, Fluor Corporation (NYSE: FLR) is one of the best at international engineering and construction. Founded in 1912 and based in Texas, Fluor has built power plants that light up our homes, petroleum plants that fuel commerce, and roads and bridges that connect our cities by developing, executing and maintaining capital projects. Fluor serves more than 4,000 clients in over 100 countries and its current backlog is an impressive $40 billion, which was more than a $9 billion rise from the previous year and new awards in 2018 hit $28 billion — a 100% increase over 2017. Another reasonable way to invest in infrastructure is to invest in what’s behind most of it — cold, hard steel. 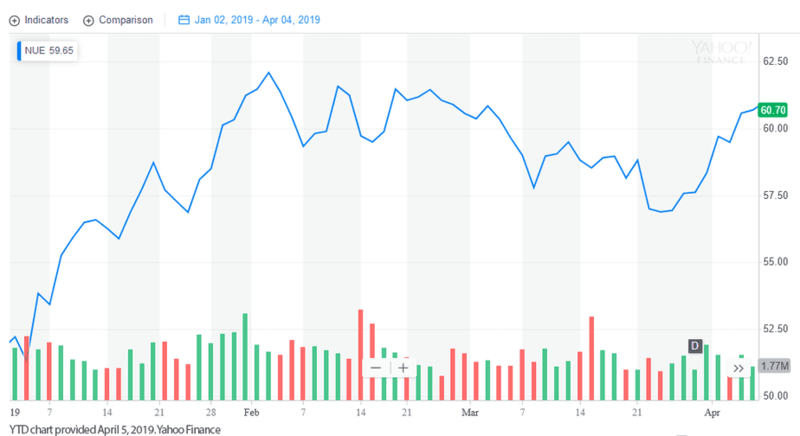 You can’t go wrong with America’s biggest steel company, Nucor (NYSE: NUE), on the heels of a great performance in 2018 — fueled in part by the current Administration’s steel tariffs. Whether it’s rebar for concrete construction, tube steel for uses including energy, transportation and production, or the beams used to build bridges and skyscrapers, Nucor is a leader in steel for infrastructure. The company reported 20% plus sales growth and a steep increase in earnings that followed a steady increase in shipments. 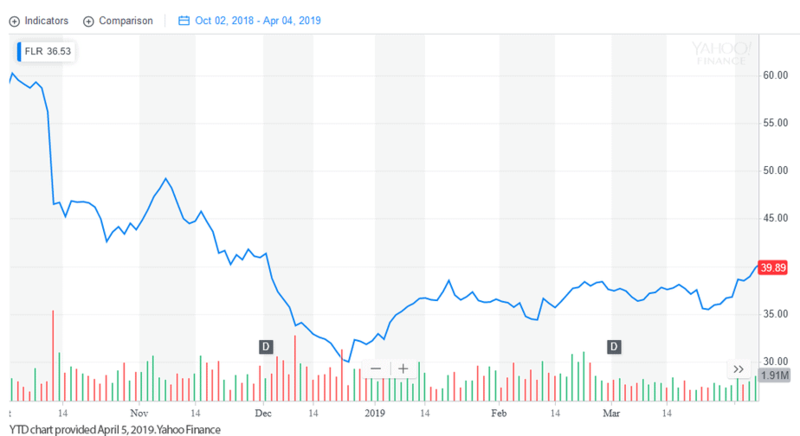 Nucor also has a solid balance sheet and a nimble management team that has demonstrated an ability to manage growth even when steel demand swings against it. As you can imagine, the stock has done well and seems pretty fully priced to me, so I would consider building a position on any pullbacks in 2019. Now, let’s turn to an investment theme and idea that is beyond the radar screen of even the world’s most savvy investors — WATER. During the last century, oil was at the heart of the global economy, and oil prices lead off the financial news. But in the 21st century, the price and supply of another scarce commodity is beginning to generate headlines. This will be a commodity even more important than oil at the heart of everything we do from growing food to manufacturing. This is why Texas billionaire T. Boone Pickens has already become the largest individual water owner in America with rights for an underground aquifer supplying 27% of all irrigation in the United States. And while we take an inexpensive and steady supply of water as a birthright, in much of the world, this is anything but the case. Take Jakarta, Indonesia. More than 40% of its 10 million residents do not have running water. In many countries, the situation is much worse. Water is a hot issue all over the world. Take China, for example. Waters originating in Tibet supply around 30% of China’s fresh water but it is a long way from China’s arid regions in the industrial northeast. Not all that long ago, I sought my fortune by becoming involved with a couple of entrepreneurial water companies. One used wave action off Galveston to create energy to pump fresh water to farming communities. The other was a deep-drilling technology company looking to find water locked in deep pockets of the earth’s crust in the Middle East. Alas, neither of these global gambits worked out but my interest in investing in water opportunities has remained strong. The high demand/dwindling supply fundamentals underpinning this story seem unassailable. With this doomsday scenario and oil barons like T. Boone Pickens leading the way, one would think that investing in water would be a no brainer. First, if you think oil is political, water is five times more so. Governments heavily subsidize water prices and like to keep tight control over water supplies. Second, most water investment opportunities are boring, low-growth utilities and water treatment plants. This means our water strategy must look to higher-growth emerging-market stocks. A good place to start is Brazil. Companhia de Saneamento Basico do Estado de Sao Paulo — SABESP (NYSE: SBS), the largest water company in Brazil, is a great opportunity. Majority owned by the state of Sao Paulo, SBS has a monopoly on providing water and sewage services to over 25 million people in 365 of the 645 municipalities in the State of Sao Paulo. The company has plenty of room to grow in its monopoly territory of Sao Paulo with 15 million not yet connected to its services. Sao Paulo has a population over 40 million and represents 30% of Brazil’s total economic output. While SBS is an excellent water play — I’m also tracking other growth ideas in the global water business. Another reason for lack of and expensive clean water stem from old and inadequate water infrastructure. Aging municipal water pipes have been disintegrating, causing money to flow away from city water districts, as well as contaminating water. As water becomes scarcer and more expensive, an increasing number of water districts are expected to shoulder the cost of detecting and fixing leaks. One company that fixes these problems and much more in the US and around the world is Milwaukee-based Rexnord (NYSE: RXN). Rexnord Corporation designs, manufactures, markets, and services process and motion control, and water management products worldwide. The company reported water management sales of $158 million in its most recent quarter, up 10% over the previous year. 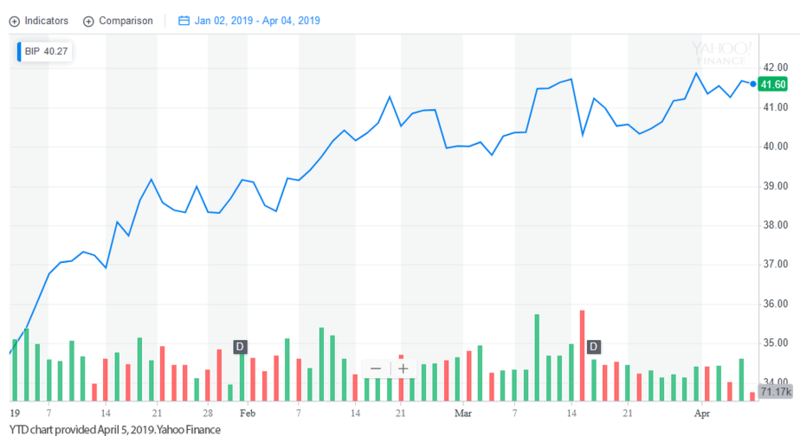 The stock is in an uptrend trading at just 14 times 2019 earnings estimates. Almost every country in the world has ambitious plans to expand and upgrade its infrastructure to keep from falling behind. Consider putting the five ideas outlined above in your portfolio and keep alert for new ideas and technologies that will lead to both new markets and profits. When coupled with capital, these companies can provide the infrastructure needed to support 21st century growth and prosperity. Invest in the future! P.S. To discover more opportunities in the hottest sectors in North America, sign up now to the Financial News Now newsletter to get the latest updates and investment ideas directly in your inbox! DISCLAIMER: Investing in any securities is highly speculative. Please be sure to always do your own due diligence before making any investment decisions. Read our full disclaimer here. Carl Delfeld is the CEO of Alquimista and Chief Emerging Markets Analyst with Cabot Wealth. He was a columnist with Forbes Asia, and has authored four books on global investing. Carl has been an international banker in London and Boston and a vice president and director of Asia-Pacific for Robert W. Baird & Company. After serving as a consultant on Asian emerging markets with the U.S. Treasury and U.S. Congress, he was appointed to be a U.S. Representative to the Asian Development Bank in Manila. Hey Buddy!, I found this information for you: "Invest in the Backbone of the Global Economy: Infrastructure". 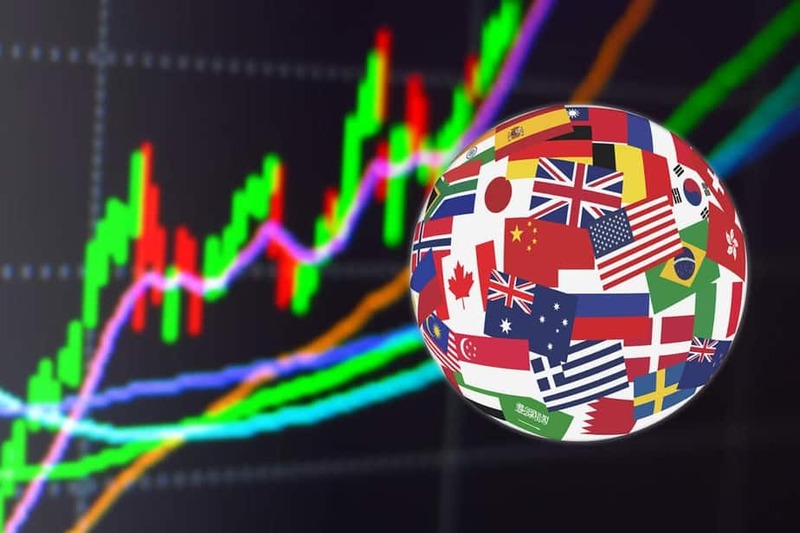 Here is the website link: https://financial-news-now.com/invest-in-the-backbone-of-the-global-economy-infrastructure/. Thank you.